Pure Plumbing L.L.C. is your #1 choice for Kitchen & Bathroom Remodeling. Tired of the old faucets or fixtures. Some things beyond repair give us a call. 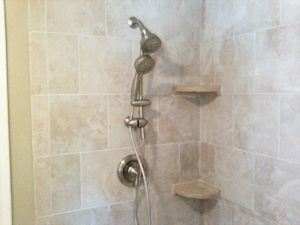 We will take it down to the studs or just something as simple as putting in a dishwasher or tub-shower. Remodeling your kitchen is one of the largest plumbing projects of your home. It can be joyful and also stressful on a family. Let Pure Plumbing L.L.C. take the stress out of your kitchen plumbing decisions. We will listen to your great ideas, discuss with you about the best quality plumbing faucets and fixtures available today. Call Pure Plumbing L.L.C. today and let the worries drain away. Remodeling a bathroom can become a major inconvenience. 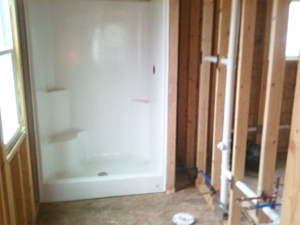 We are the professionals that can get your bathroom done and functioning again. We will listen to every great idea you have and explain to you the best way to create your ideal bathroom. We want you to have the best plumbing products available and make the whole process as smooth as possible. Give us a call today!! Pure Plumbing L.L.C. begins with an intitial consultation with our client to ensure that we understand the scope and size of the project. 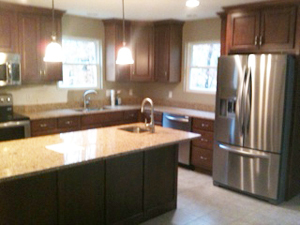 We listen to the client’s needs and wants in regards to their kitchen remodeling project. Once we get a full understanding of the project, we make suggestions and recommendations based on the client’s vision for their new kitchen. We help our client’s choose fixtures that will compliment the overall feel as well as perform to their expectations. We can assist in helping choose countertops, tile, cabinets and more. Pure Plumbing L.L.C. wants to ensure that we get the job done with minimal inconvenience and interruption to your daily life as the remodeling process takes place. We do our best in making sure that the workplace stays clean and that other parts of your house remain unaffected by the remodel. Pure Plumbing L.L.C. takes pride is providing the highest quality, most professional service possible. We want to ensure that you are 100% satisfied with your newly remodeled Kitchen or Bathroom. We take pride is our work and we commit to making sure that your new room creates lasting smiles and memories for years to come.